Skyline Remote Desktop Service for QuickBooks Pro 2015 provides the functionality and access you need. 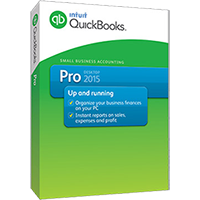 The following changes, improvements, and fixes were made to QuickBooks Desktop Pro 2015, QuickBooks Desktop Premier 2015, and QuickBooks Desktop Enterprise 15.0. Later releases (ones with higher numbers) include all changes in earlier releases. Enabling customers for 1099-MISC Electronic filing using Tax1099.com, Intuit’s preferred e-filing partner. Fixed an issue that caused QuickBooks to hang while changing the Search Box Preferences in Multi-User mode. All users who have the "Credit Card Protection" feature on, or whose QuickBooks Desktop file contains sensitive data such as credit card data and Personally Identifiable Information (PII) will be asked to set up a password. All users who have the "Credit Card Protection" feature on and can view full credit card data will be asked to your change password every 90 days. This does not impact QuickBooks Desktop for Mac. SDK apps that require background access to QuickBooks will need to have credentials regenerated for the app. Credentials will get regenerated once users who need access to the app login to QuickBooks. If the password for QuickBooks changes, a new application is added or access levels of an application are changed – this would also require users who need app access to login. With this release, QuickBooks will now have improved support on Windows 10. Migration of MSXML code base from 4 to 6 to address PCI (Payment Card Industry) Compliance standards. For users concerned with PCI Compliance, you should consult your IT professional to remove MSXML 4.0 from your system and complete the upgrade process. Once MSXML 4.0 is removed from your computer, the following third party apps that require MSXML 4.0 will not be supported: Contacts Sync, Scan Manager, and Shipping Manager. Fixed an issue that caused QuickBooks to close unexpectedly when deleting a Bill while the Pay Bills window was open and sorted by Reference number. Fixed an issue that caused the Tax column on a Sales Receipt to move after installing the R6 update. Enabled Advanced Pricing in the Advanced Inventory sample company file. Fixed an issue that caused incorrect debit and credit reporting. Fixed an issue that caused the amounts for exchange gain loss to not be tracked for some transaction types. Fixed an issue that caused the Balance Sheet to go out of balance after changing the cost of an item in a company file with Enhanced Inventory Receiving enabled. Added ability to do EInvoicing when file is enabled for Multi-Currency if the associated customer's currency is USD. QuickBooks will now allow plain text email changes for outlook and webmail. Fixed an issue that caused a custom field to not work properly after changing its type. Fixed an issue that prevented a user from editing custom defined fields after updating to QuickBooks 2015 R6. Fixed an issue that caused a H202 error when trying to open a company file located on a server with a Fully Qualified Domain Name. Fixed an issue that would cause QuickBooks to freeze while in Multi User mode if a user left the Reminders window open. Fixed an issue that caused an Unrecoverable Error while trying to create a Credit Memo that is not in your home currency. Added Subscription Feature Setup to make activating the features of your Enterprise Subscription easier. You can access this setup from Help > Set up Subscription Features. Fixed an issue where the All Employees list only shows active employees after an employee is edited. Add/Modify/Query functionality has been added to transaction lines for Bill, Bill Credit, Bill/Vendor Credit, Check, Item Receipt, Credit Card Credit and CreditCard Charge. Users can now add multiple contacts to one Customer. Fixed an issue that caused the Transaction History window to not open after pressing CTRL + H, for invoices that had been emailed. Fixed an issue in which an Invoice that contains an item with only the description filled in is saved with '0.0' amount. Fixed an issue that caused QuickBooks to close unexpectedly when trying to print/delete/email an invoice without saving it first. Fixed an issue that caused the Cost column to be subtotaled when trying to subtotal the Price column. Fixed an issue that caused the lot number to not be removed when switching items on a transaction. Fixed an issue that caused Site Locations to display incorrect quantities on hand when building assembly items. Fixed an issue that caused conditions for a Price Rule to be blank after running a Rebuild. Advanced Reporting will now be able to report on whether a transaction has an attachment or not. Advanced Reporting will now be able to read transactions that contain up to 10,000 lines of detail. The former limit was 1000 lines of detail. More consistent generation of online pay links and the ability to view PDF’s in the counterpart portal. Added the ability for users who are not admins to send invoices with online pay enabled. Fixed an issue that caused QuickBooks to close unexpectedly when trying to email a batch of invoices. Fixed an issue the prevented the ability to email statements. Fixed an issue that caused a decrease in performance while in multi-user mode when editing or using Inventory items. Fixed an issue that caused the warning for "Zero Amount Items" to be displayed incorrectly. Enabled Accountant specific features, previously only found in Enterprise Accountant, for all Enterprise editions. Setup channel to properly deliver upgrades and updates when-and-if available to supported products. Setup channel to properly deliver upgrades and updates when-and-if available to active subscribers. Setup channel to properly block automated or downloadable upgrades or updates to non-subscribers, including not renewed full-service-plan (FSP) Enterprise products. Added support for Alt+D to toggle the Print Later option on the Invoice, Sales Receipt, Purchase Order, Sales Order, and Write Checks window. Registration and activation of your QuickBooks product will now occur upon first launch. Improvements have been made to the Registration verification screen. More options are provided to validate your purchase and activate your product faster. Sync Critical alert has been removed from the Reminders window for files that have the option to sync disabled in Sync Manager. Fixed an issue that caused custom fields for the Build Assembly Header to not be returned in the query. Fixed an issue that caused an Unrecoverable Error when the Full Access role was selected from the Roles list. Rebuild utility will now resolve Online Banking payee mismatch errors. Invoices will now only be sent in a new HTML format. As a payments customer, online payments for both card and ACH are enabled by default. You can modify this setting in the company or customer preferences as well as on individual invoices. NOTE: If you previously used IPN, this does not apply, your IPN preferences will set. Fixed an issue that caused existing Weekly Timesheets to disappear or change to Single Time Activities after upgrading to QuickBooks 2015. 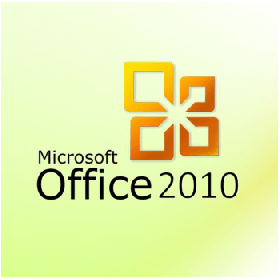 Improved performance of the QuickBooks internal browser when using the software on a computer with Internet Explorer 11. QuickBooks will no longer close unexpectedly while trying to print, delete, or email an invoice without saving it first. Fixed an issue that caused QuickBooks to close unexpectedly after opening a report from the Insights page and then closing the program. Assembly Shortage reports will now include modified (saved or unsaved) Assemblies. Duplicate serial number warning will now work if an Invoice is created from an Estimate. Price rule prices will no longer revert to the base price when editing a custom field on a previously saved Sales Order or Invoice. Removed "Mail through QuickBooks" as an option for sending emails with QuickBooks. Increased the email template character limit from 2049 to 32000. Fixed an issue that caused the report Item Estimates vs Actuals to not export to Excel properly if one or more columns were removed from the report prior to exporting. Added three new graphs: Net Profit Margin, Business Growth, and Previous Year Expense Comparison. Added "Save as PDF" functionality to the Insights page. Fixed an issue that caused the window to not fully display if resized while scroll bar was active. QuickBooks installer will now open the necessary Windows firewall ports needed to avoid potential issues opening a company file. Added a "Manage Your Account" button to the My Company window for easier access to manage things like your Payment Methods and Order History. Fixed an issue that caused logo images on forms to appear blurry after saving as PDF. Company files with Multicurrency enabled and set to USD currency, can now process credit card transactions. Merged the QuickBooks Maintenance Alerts into the Reminders window. Removed blue shading from summary reports below the second level of sub accounts for better readability. Searching for columns in the Modify Report window now supports partial name searches. Added the ability to see which user created/modified a comment. Added a Created By column to the Commented Reports window to identify the user who created the report. Querying custom fields using DataExtDefQuery will now return the list of fields sorted by Name. QuickBooks will no longer close unexpectedly while performing an Advanced Find using the "Name E-mail" filter. Streamlined the data file creation process to make it more efficient. Fixed an issue that caused the error "Verify Custom Template list. Duplicate name encountered". Fixed an issue that caused the error "Verify Customer Message list. Duplicate name encountered.". Fixed an issue that caused QuickBooks to close unexpectedly while exporting a Budget to IIF (File > Utilities > Export > Lists to IIF files and select Budgets). Fixed an issue that caused the error "License not Found - Please try a different login or contact QuickBooks support for further assistance." to be displayed when trying to unlock the Accountant Toolbox feature. Accountant Toolbox can now be accessed from all Premier skus, and not just QuickBooks Premier Accountant. Fixed an issue that caused the file upgrade on QuickBooks 2015 to fail if a user attempts the upgrade logged in as a non-admin before signing in as a admin. Clicking the "Tell Me More" button on the window for H202, H303, and H505 errors will now take the user to this support article. Fixed an issue that caused the footer fields Subtotal, Sales Tax, Total, Payments/Credits and Balance Due to not print when trying to use the Intuit Preprinted forms setting.